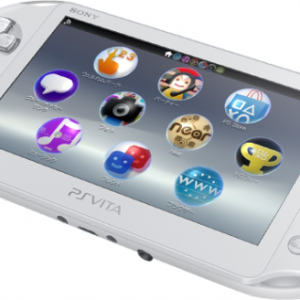 Sony's Andrew House believes that the Vita could find new life as a "companion" to the PS4. It's no secret that the PlayStation Vita hasn't been the tremendous hit Sony was hoping it would be. It hasn't been an objective failure, but it also hasn't raked in customers with its promises of console quality experiences you can take on the go. That being the case, things have arguably been turning around for the Vita recently. In Japan, at least, price drops coupled with new hardware remodels and the release of popular software titles have, to an extent, given the handheld a much needed boost. That said, it still arguably has a long way to go and Sony's Andrew House thinks that its functionality with the PS4 could be the recipe for success that the company has been waiting for. "I think Remote Play offers a great opportunity for PlayStation Vita to be seen as a companion device for the PlayStation 4 - a chance, with a reasonable investment, to have a second-screen experience," said House. House elaborated that the company's research suggests that "companion" approach seems to "[resonate] in Europe," ahead of anywhere else." Changing the portable's fortunes, however, aren't something he thinks the PS4 can do alone. House also believes that another "pillar of the Vita strategy is to have it be the next platform of opportunity for really good mobile game developers who are looking to expand their creative portfolio into something with more differentiated games interfaces, and we're seeing some success with that." Sadly, when asked about expanding the redesigned Vita's presence outside of Japan, House couldn't "talk about launch plans." That said, he indicated that the 2000-series is "selling very well" in Japan, which we can only imagine will lead to a sooner-rather-than-later North American release.